Join us for an experiment in terror!!! Dr. Warren Chapin is investigating the scientific nature of fear. What makes the spine tingle when we’re afraid? Is it possible to die of terror? Not prone to scare easily himself, the doctor uses drugs to self-induce hallucinatory nightmares. As coroner, he finds disturbing, unexplained marks on the vertebrae of corpses and a mysterious creature lurking on an x-ray … Is fear something more than a passing emotion? To his horror, the doctor learns that fear is a frightfully LIVING force—and the only way to kill it is to scream. 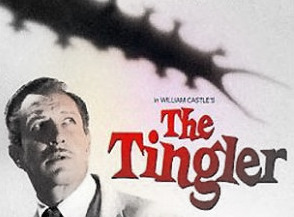 Don’t miss this cult classic from director William Castle in glorious black-and-white. And don't forget to scream . . . scream for your lives! 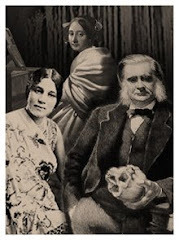 This "mad scientist" edition of the Secret Science Club meets Wednesday, March 28 at 8 pm @ the Bell House, 149 7th St. (between 2nd and 3rd avenues) in Gowanus, Brooklyn. Subway: F or G to 4th Ave; R to 9th St.